All religions teach codes of ethical behavior. So too does Buddhism. This books is a translation of an indispensable exposition of the three sets of vows that are central to Tibetan Buddhist codes of discipline--the pratimoksa vows of individual liberation; the vows of the bodhisattva, who selflessly strives for the liberation of all beings; the vows of the esoteric path of tantra. 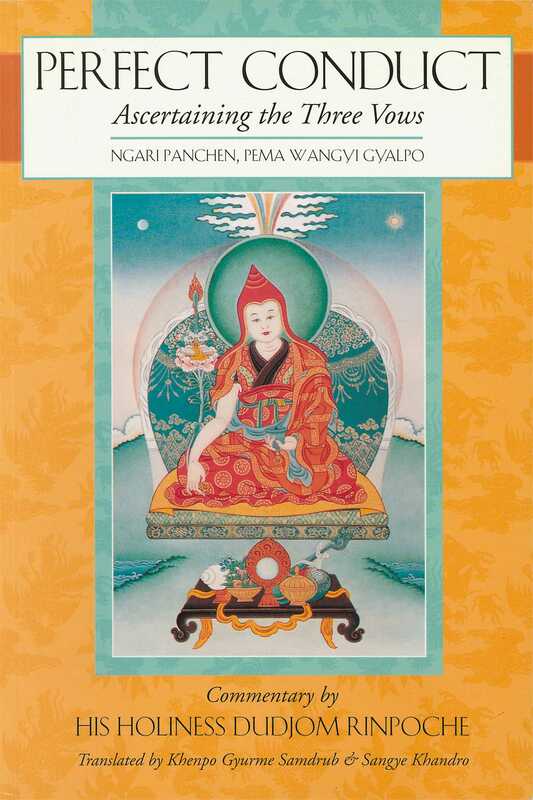 Here, the late Dudjom Rinpoche provides his authoritative commentary on the role of ethics and morality in Buddhist practice, outlining in detail the meaning and scope of the vows, and giving practical advice on maintaining the vows as supportive tools in the journey toward enlightenment. "This book...fulfills a crucial need for serious students of Buddhism... At last we have a handbook in English that explains the full code of discipline [pratimoksa, bodhisattva, and tantric vows]...along with an elucidation of...philosophical principles and historical background."